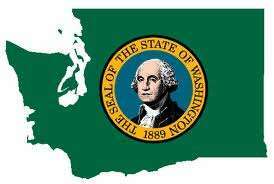 It’s time for an update from the state of Washington, the only one of the 50 United States where the playing of online poker is a felony by statute. That’s the status of the state ever since 2006, when an online-poker ban was shoehorned through the state’s legislature by tribal interests seeking to protect the gaming monopoly of their own land-based casinos, a small handful of which are sprinkled throughout the Northwest state. Online poker players have been unsuccessful in getting the onerous felony law repealed, though it’s merits and legal soundness have yet to be challenged in a court case, as the state’s legal authorities have quite openly disdained the notion of prosecuting any online poker players under the statute. Nonetheless, the law’s presence has had a repressive nature on the state’s poker players, and even unofficial offshore sites such as Bovada, Carbon Poker, PokerStars and Full Tilt (the latter examples being pre-Black Friday only) have long blocked the state’s players. Efforts at repeal have repeatedly been stymied, the latest example being last month’s abandonment of a signature drive by a group fronted by Washington online poker activist Curtis Woodard. Woodard and fellow supporters faced the unlikely task of getting 300,000 signatures just to get a referendum to regulate online poker onto the state’s general-election ballot this fall, but never came lose to that goal in the face of general-public disinterest and active lobbying against the proposal by the tribal casinos, which continue to enjoy a tax-free monopoly. Woodard’s group has now taken a new tack, focusing more on lobbying than on direct legislative efforts. The WAipokerNOW group, now named as the Washington Internet Poker Initiative, has started up a new website dedicated to the effort, encouraging signups and local lobbying of state politicians. The group has also reformed the basics of its hoped-for legislation, in which it seeks to clarify that online poker is not a “facsimile” of live poker (an important concept related to poker’s skill-based elements), and also seeks to differentiate online poker from several forms of Class II Gaming as currently authorized under Washington State law, and offered by the casinos. The group’s proposals general would call for the creation of several state-regulated intrastate poker platforms, with the state’s tribes then allowed to operate skins on those networks as a way of achieving the needed player liquidity. At the heart of the measure is the certification of a limited number of platforms. Player liquidity is of vital importance to the success of an intrastate internet poker market. Having only a few networks licensing skins to qualified card rooms allows many to promote their brands online, while common player pools provide the needed liquidity that smaller operations would not have on their own. The state will authorize the Gambling Commission to review, test, rate, and ultimately certify 3 to 5 ‘platforms.’ Internet poker platforms are the programs, servers, and interfaces used by the players and the host to conduct poker games over the internet. Once certified, certificate holder can then offer services to cardrooms authorized for internet play. Platforms will be certified for one year, and recertified annually to assure continued high standards. Platforms will also pay a rake-based tax. Card rooms licensed in the preceding twelve months can apply for a license to offer play online. This will be an extension on their current operations, which will need to be maintained for the internet portion to remain active. Qualified card rooms can then seek vendor services from any one of the certified internet poker platforms, brand it as their own, and begin offering play. Tribes have leave to offer poker, via a certified platform, as Class II gaming. Does the group’s proposal have a chance? It’s likely to be a continued slow grind. Even though the state’s tribes themselves would generate increased revenue from a concurrent increase in player liquidity, recent history indicates they’re likely to be against the proposal… just because they can be. The concept of introducing any sort of third-party software service provider amid the existing monopolistic market status is likely to be the sticking point, even though the tribes would independently contract with many of the same service providers if online poker was authorized in the state. By any reasonable measure, Washington State remains at least a couple of years away from any real movement on online poker. The situation may, in fact, remain unchanged until one of the state’s would online-poker players openly defies the current law, and forces a trial to test the current law’s legality — a most decidedly expensive and risky proposition.